Could crunchy eats be worthy of entrée status? 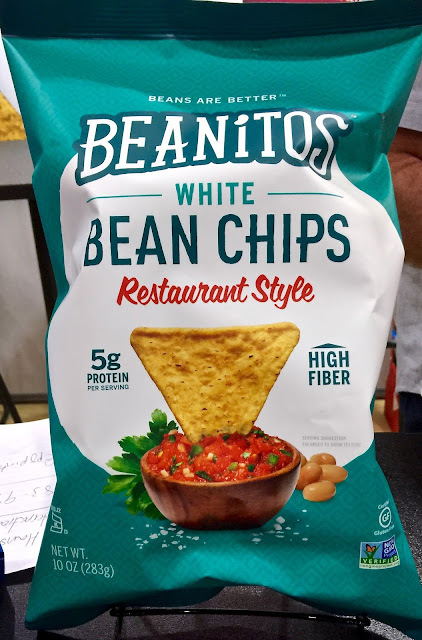 Not really but some delicious chips based on vegetable/beans-deliver some grams protein/serving and other vitamins etc..and if paired with the right dip-like hummus...def. qualify in our house. 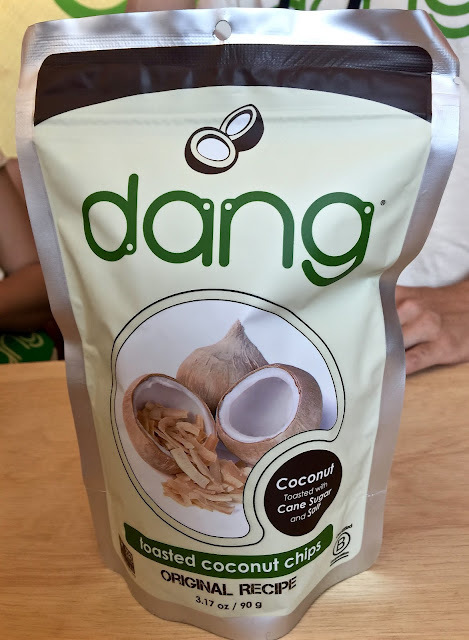 At the very least when one indulges in a crispy munchie -there can be some nutritional payback. 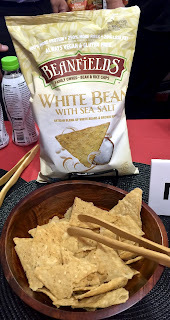 Noteworthy trends-plain ole' chips-even cleverly packaged-seemingly absent from the Fancy Food Show aisles-unless spiced up or made with healthier oils, crispy chip alternative based on beans, rice and vegetables-continue to grow with new flavors-usually spicier ones...PLUS practically all are NON-GMO, and gluten free that we saw-imo thanks to Vermont labeling laws for that (yay)...and chickpeas seem to be the new peanuts! 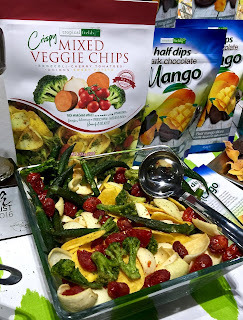 (Calorie wise-range from 100-150 serving typical-but think about it-unless single serve portions-tough to munch on "1" serving portion). 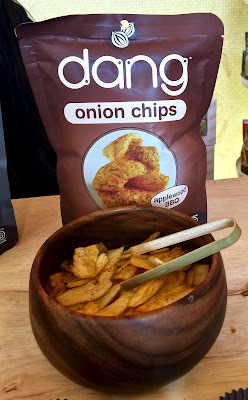 Family owned (and named after mom)...DANG Applewood BBQ Onion Chips (other flavors too)-crispy snacks with smokey/sweet flavor-made from whole onions-not corn meal! 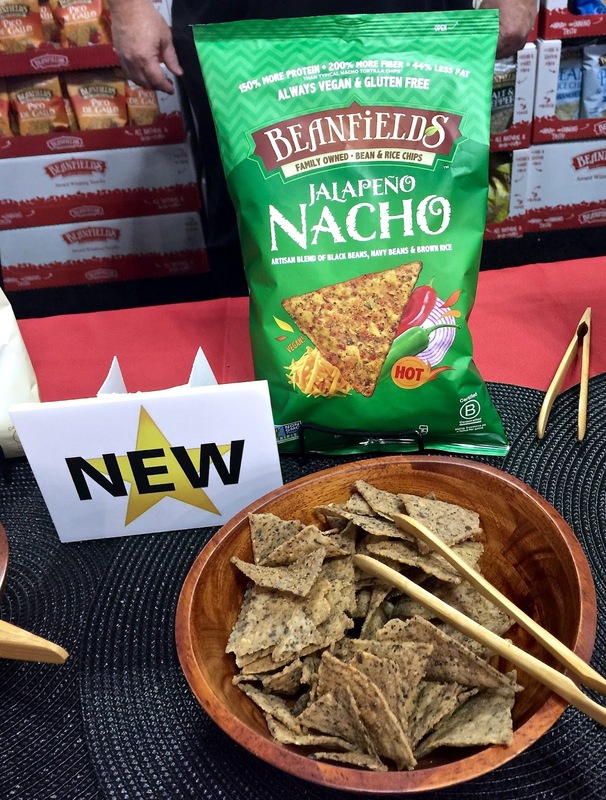 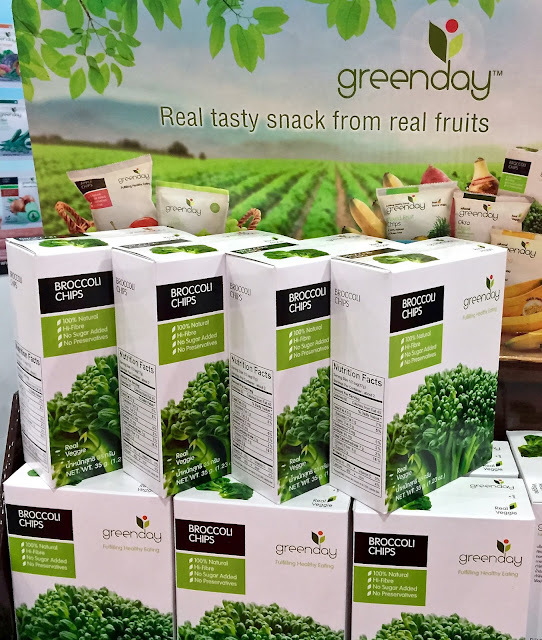 Beanfields-packaging of these crispy chips says it all including 200% more fiber, 36% less fat, and 150% more protein than 'typical'nacho-tortilla chip-worthy substitute for sure-black+navy bean and brown rice based. 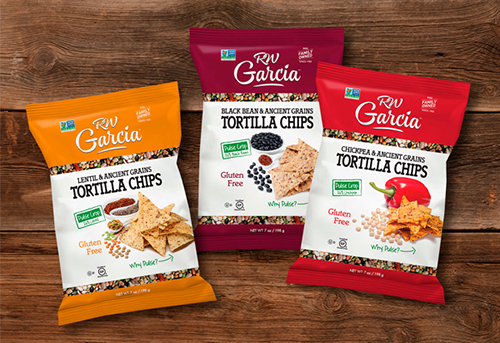 Family owned biz that's a Certified B corporation, non-GMO, gluten free...vegan, allergen friendly...many flavors including unsalted. 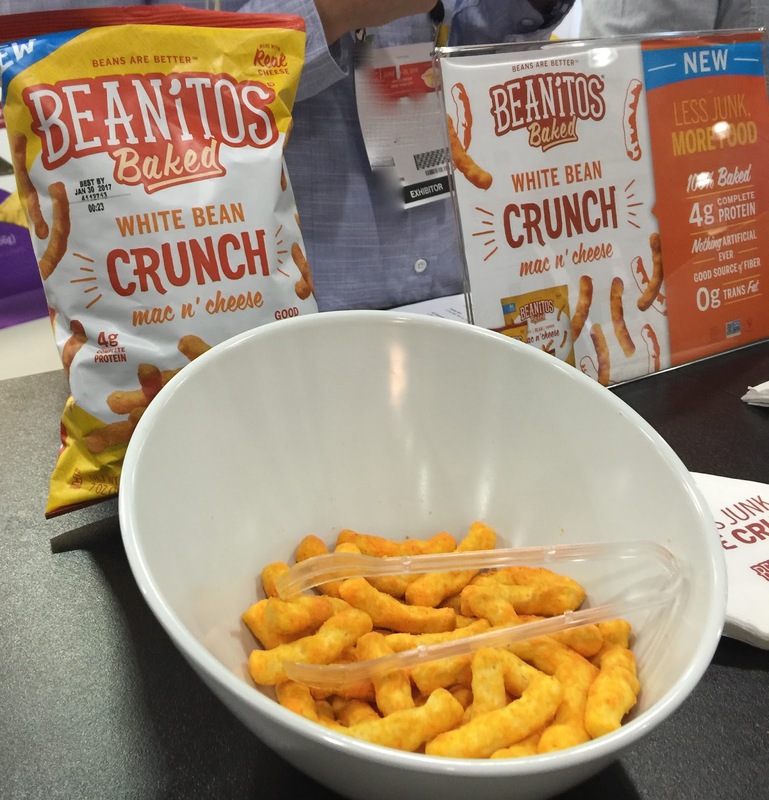 our fav-baked White Bean crunch tastes like a cheese doodle-without that weird orange grease...and with 4 grams protein per serving! Beanitos-Garden Fresh Salsa...zesty savory herb-tomato flavoring. 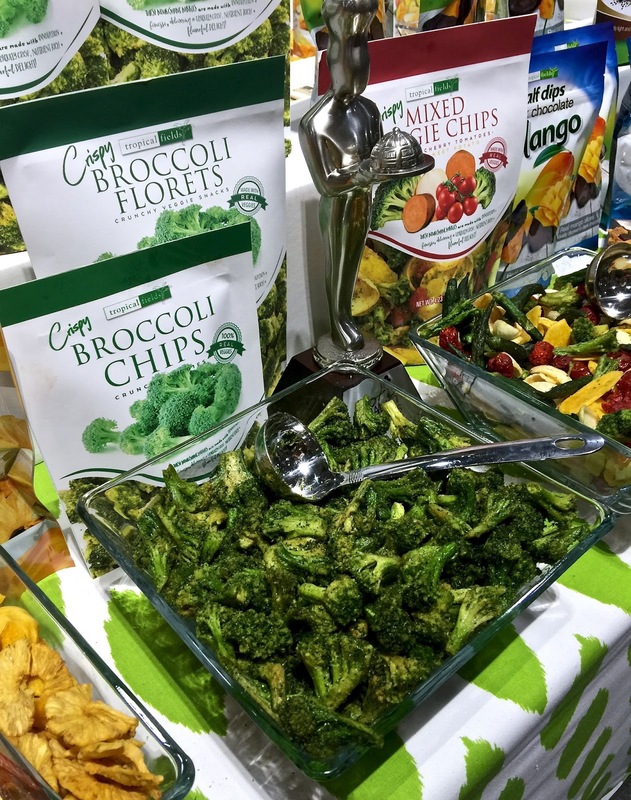 "SUPERFOODS" an overused cliché imo-nonetheless RHYTHM SUPERFOODS Broccoli Bites-def have more nutritional value than most chips-and better yet, will sway even the veggie phobic kids. 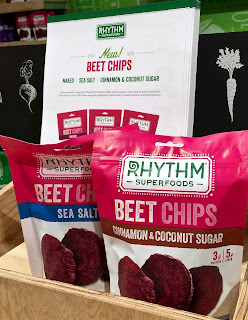 These crisp treats-flavorful and addictive...naturally-have fiber, Vitamins A, B6, C and potassium. 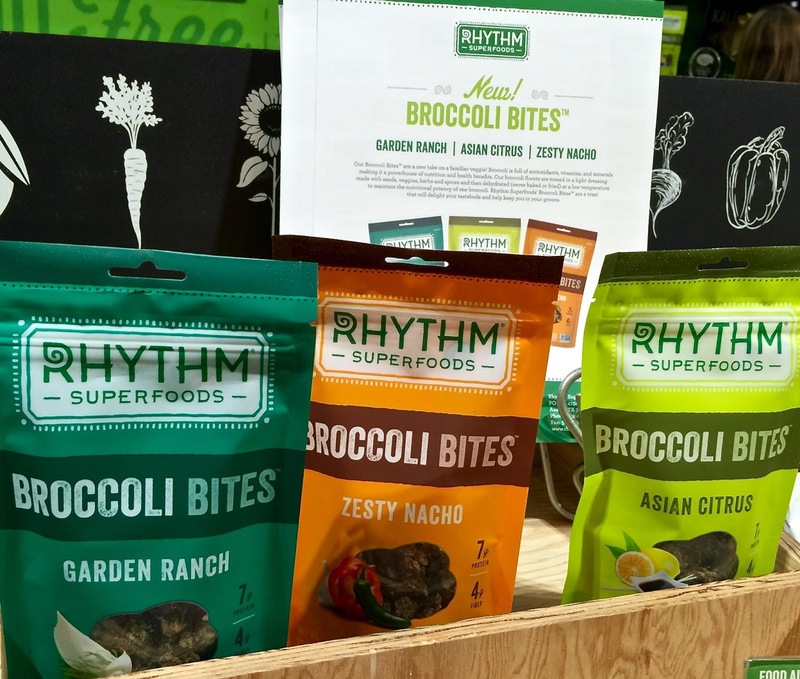 And yes-this company makes fab Kale Crisps and Roasted Kale too. 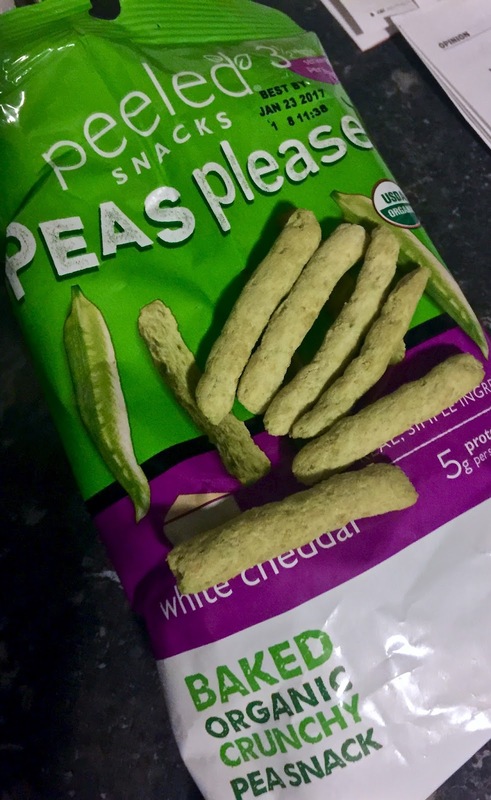 we first tried these PEELED SNACKS Peas Please. out in Deere Valley Utah-crunchy satisfying-not too greasy(baked)-with an slight onion-cheddar flavor in one tried-main ingredient is Organic Whole Grain Pea Flour-120 calories/serving-5 grams of protein... Non-GMO, gluten free USDA ORGANIC ..made by a company founded in NYC by NOHA Waibsnaider--Certified B Corporation that makes a point of knowing its veggie/fruit suppliers. 4 flavors. 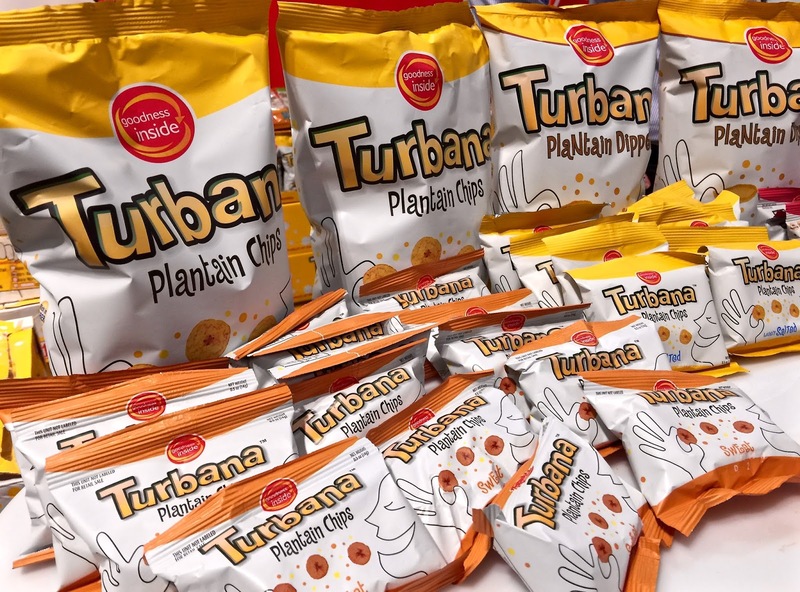 GOODNESS INSIDE TURBANA PLAINTAIN CHIPS-small thin crispy chips akin to most root vegetable chips-and very tasty-made from green plantain with palmolein though- (processed palm oil) and salt - 130 calories serving-widely available including Walmart/Amazon...tried the slightly salted version- makes a good munchie. 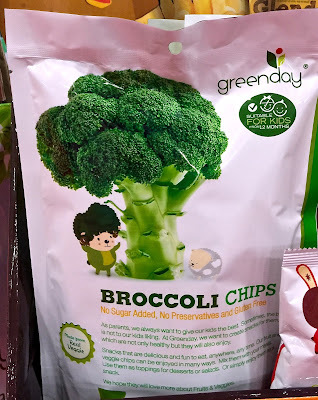 Paleo friendly too. 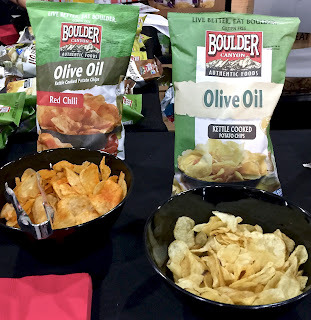 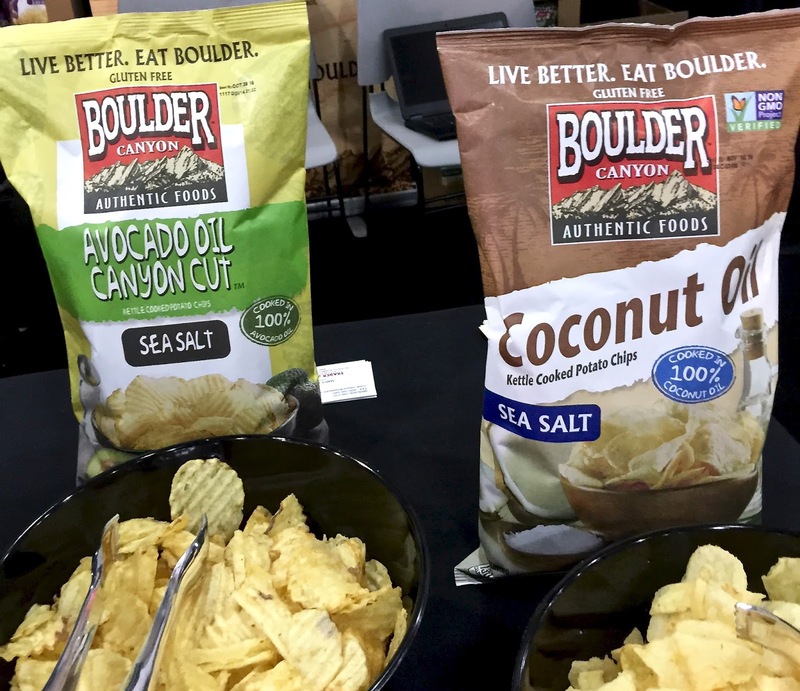 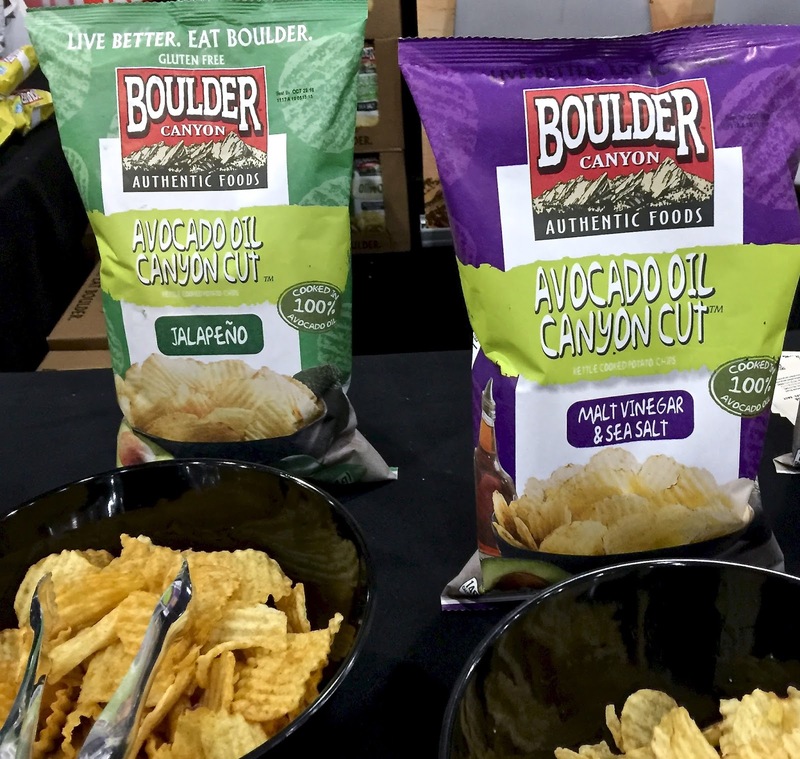 New Oils-used for kettle cooked chips-on the right-Coconut Oil-NON-GMO, certified gluten free, vegan -lightly sea salted 130 calories a serving -6 grams of saturated fat-3 simple ingredients-pottos, coconut oil and sea salt.